The next wagon to be overhauled at M Shed is the LSWR 8 plank open mineral wagon, built 1921 and numbered as BD 27. The below pictures show it shortly after being shunted into the shed, Bob is tracing the sign writing to use as a template later. Since these photos were taken several planks have been removed for replacement. The GW Ballast Wagon now looking fresh with the metal hood refitted and out in the yard. The next wagon for overhaul has already been selected. Pictures from this morning of the latest wagon to go through the workshop, the GW Ballast Wagon (BR telegraphic code ‘Starfish’). The running gear is being cleaned up and red oxide primer applied, while the black painted bodywork is being signwritten by Bob Edwardes. This wagon was the victim of a graffiti attack a few years ago, which obliterated the text on this side. Bob was able to trace the existing text on the North facing side, then apply chalk to the rear of the tracing paper, which leaves a witness mark on the wagon when traced over. This gives the outline for the text. Here’s the results of the hard graft the volunteers and staff at M Shed have been putting into the wagon restoration. 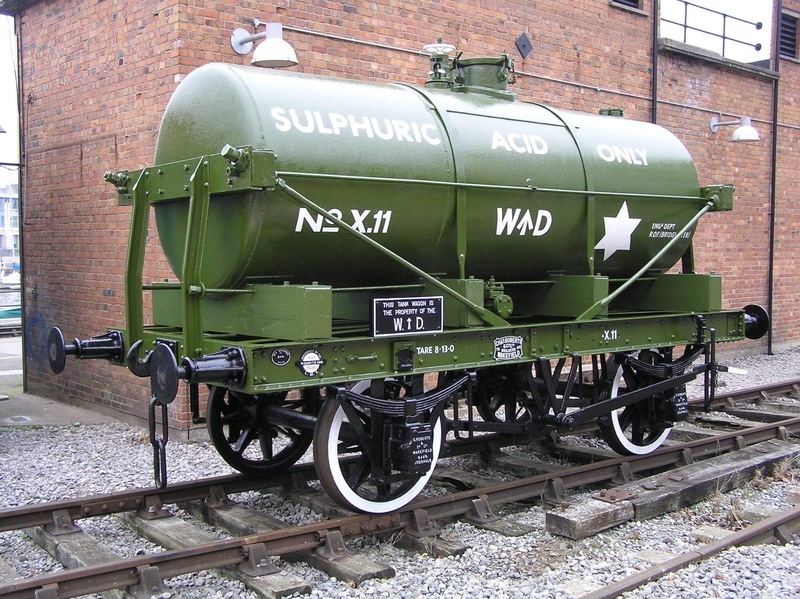 Sulphuric Ace Tanker now looking smart and fully signwritten!